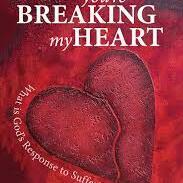 'God You’re Breaking my Heart: What is God’s response to suffering and evil?' is a new book by Jesuit author, Father Brian Grogan SJ. Fr Grogan chose the title God you’re breaking my heart as he has heard it as the spontaneous cry of many an anguished heart. But it also hints at what is going on deeper down. The title has a double meaning: the slow sad music of humankind can indeed break our hearts; but God allows and uses suffering only to enlarge our heart’s capacity for that greater love that is its destiny. The glimmers of light offered by the Christian tradition can become a steady beam that can enable us to find our way home, even in heavy seas.